RISE is an action-research program working at the intersections of health, environment, and water and sanitation.  RISE is trialling a new water sensitive approach to water and sanitation management in 24 informal settlements across Makassar, Indonesia and Suva, Fiji. Working with communities, governments, local leaders and partner institutions, RISE is co-designing location-specific solutions that integrate green infrastructure, such as constructed wetlands, to strengthen the whole-of-life water and sanitation cycle. Underpinned by the emerging discipline of ‘planetary health’, RISE success will be measured by the health and well-being of residents – particularly children under five years of age – and the ecological diversity of the surrounding environment.